Part 2–Q. If infants were circumcised, why shouldn’t they be baptized? 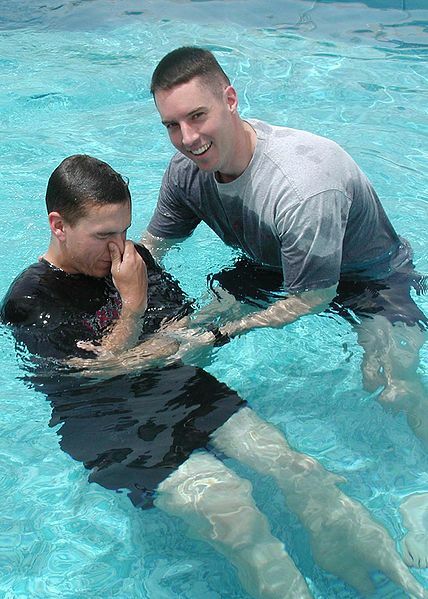 Only those who can make a profession of their faith should be baptized. A. In Part 1, I explained that those who teach infant baptism base their practice on their claim that circumcision and baptism are just two outward signs of the same thing. They say, if infants were circumcised in the Old Testament, they can be baptized now because baptism is the New Testament continuation of circumcision. I pointed out that this is a false assumption because the Bible teaches that spiritual circumcision, not baptism, is the antitype of circumcision. Further, baptism is not an antitype of anything but a sign publicly declaring that God has spiritually circumcised or regenerated the sinner. Now, let’s look at some of the proof texts that infant baptizers use and see how these Scriptures are really no proof for infant baptism at all.